Nice, but since issue #10540 put JOSM on update hold indefinitely for me it might take a while until I get to see the new logo close-up. Hmm, I am not sure if I understand your problem, but why don’t you just continue to use the old “XML” style in a current JOSM version? It is still available. Switching between both styles is easy too (I do that often because each has its own advantages). 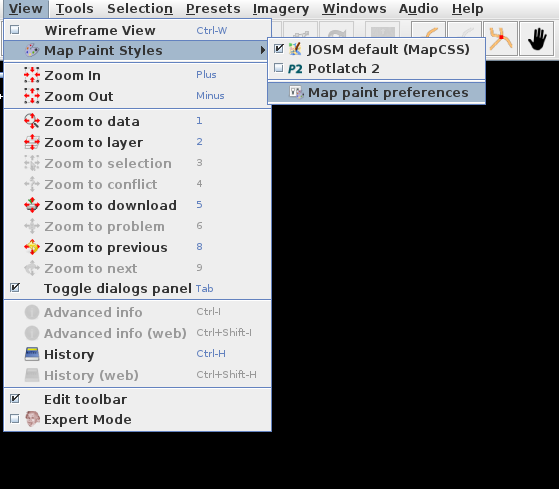 JOSM has many map styles built-in. I am often switching between several – depending on what I need to see. 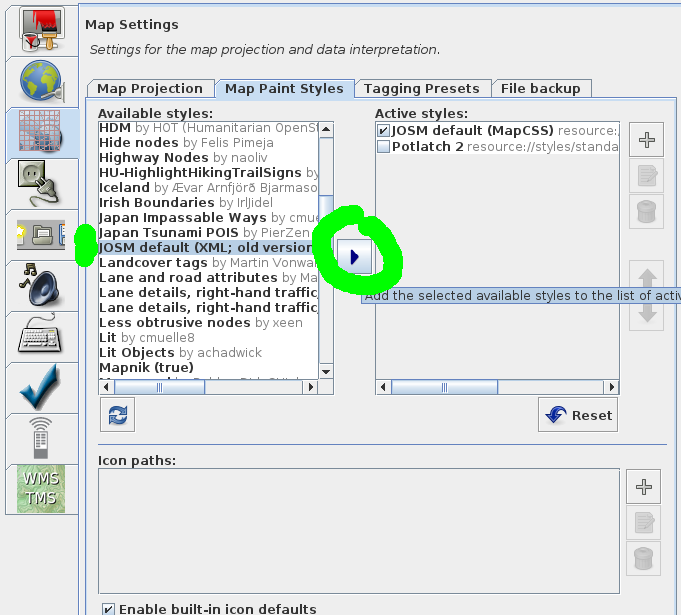 3. select the old XML style and deselect the default MapCSS style in the “map paint styles” menu (like in screenshot 1). Or see https://josm.openstreetmap.de/wiki/Styles . E.g. the new style has style options which are available via a right click on its entry (but only inside the Map Paint Style Dialog Window). For you a useful option may be to disable the “less obtrusive” nodes at low zooms. Note that it is likely not MapCSS’s fault that it differs from the old style. It may be a work-in-progress or be an intentional design decision by the style authors. The old style is still built-in. You do not need to do anything to the jar file or config directories. Just get the jar file of the current version (keep a backup of your old version of course) and run it. Then choose the old style – see https://josm.openstreetmap.de/wiki/Styles . In addition: the new style has style options which are available via a right click on its entry (inside the Map Paint Style Dialog window). For you a useful option may be to disable the “less obtrusive” nodes at low zooms. The new logo is gorgeous! I am very delighted that a logo is selected to assign the JOSM editor. But the only fault I have noticed is that the logo are the materialization linear and surface but not the point. It is therefore necessary to review this logo to set apart an entire dot to signify that the JOSM can materialize a tree.